Both our Danbury and Stamford optometry practices are situated next door to a LensCrafters, offering convenient access to prescription eyeglasses directly following your eye exam. LensCrafters has a tremendous selection of eyeglasses, frames and lenses. 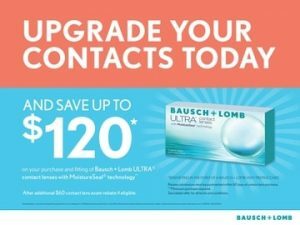 Take care of all of your eye care needs with one visit!